“I was supposed to be a boy,” she often said. And yes, her birth must have been somewhat of a disappointment to an aristocratic family with two daughters who had suffered the death of baby boy the year before. Unlike her older sisters, her christening was a relatively subdued affair, and she boasted no royal godparents. The Honourable Diana Frances Spencer was born on July, 1 1961 to John Spencer, Viscount Althorp (later the 8th Earl Spencer) and his wife, Frances. She joined two older sisters, Sarah (b.1955) and Jane (b.1957). Diana’s father had been an equerry to both George VI and Queen Elizabeth II, and her grandmother Lady Ruth Fermoy had been a lady-in-waiting and close confidante to the Queen mother for decades. Their home, Park House, was next door to the Queen’s Sandringham estate. The Spencers had far more English royal blood than the Windsors, who were descended mostly from German and other European royal houses. Diana’s earliest years were happy ones. She loved animals, swimming in the family pool and playing with her baby brother Charles, who finally arrived in 1964. Everyone, especially her mother, could breathe a sigh of relief. But then when Diana was six, her parents divorced amidst a bitter volley of accusations: she charged cruelty and abuse; he charged adultery. An ugly custody battle ensued that Johnnie Spencer won. It was almost unheard of for a mother to lose custody of her children at that time, but Frances’ mother Lady Ruth Fermoy was so incensed at her daughter’s behavior that she testified against her. Some say it had much more to do with Spencer’s title than anything Frances did. Either way, her daughter never forgave her. Like most girls of her class, Diana attended boarding schools. She first went to Riddlesworth Hall Preparatory School in Norfolk located close to her home, and then West Heath Girls’ School in Kent. She was never a great student (“I’m thick as a plank” she told a teenage patient during a hospital visit as Princess of Wales) but excelled at piano, dance and sports. In 1975, her grandfather died, and her dad became the 8th Earl Spencer. Diana also became Lady Diana Spencer, the name by which the world would meet and fall in love with her in just a few short years. Earl Spencer had begun a relationship with Raine, Countess of Dartmouth in 1973, and the couple married in 1976. This was not a popular decision with the Spencer children who referred to their new stepmother as Acid Raine. They resented her hold over their father and the many changes she made to Althorp, their ancestral home. Diana left school at 16, having failed all her O levels. She did a short stint at a finishing school in Switzerland and then returned to England. She used an inheritance she acquired on her 18th birthday to buy a flat in London and took on a variety of odd jobs – assistant dance instructor, house cleaner, caterer, nanny, and kindergarten teacher. In the summer of 1980, Diana and the Prince of Wales were mutual guests at an event where Charles was playing polo. The Prince was taken with the winsome 19-year-old enough that he began randomly calling her up and asking her out – usually to be part of group events. Eventually, this led to an invitation to Balmoral, the Royal Family’s retreat in Scotland. This was always Charles’ proving ground to see if a girl was Princess of Wales material. Diana passed with flying colors, even though she was a city girl and was reportedly just pretending to love fishing and stalking and all those country pursuits Charles loved so much to please him. Charles proposed the following February. The couple had only been together a handful of times, had next to nothing in common, and the groom was in love with someone else. Not the most auspicious conditions to begin a marriage. Charles and Diana’s inevitable divorce in 1996 was fueled by even more bitterness and public nastiness than Diana’s parents’ was, and it was broadcast on a much grander scale. 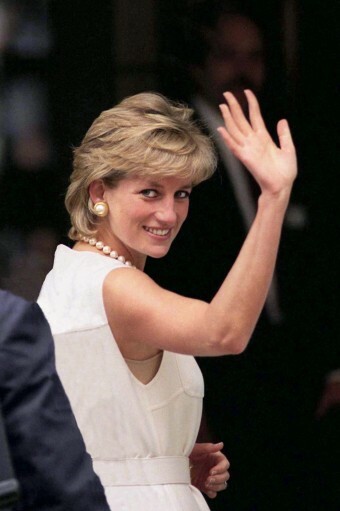 A mere year later, Diana, Princess of Wales, died in a tragic car accident in Paris on August 31, 1997.